On Dec. 6 Venezuela held its 20th election in 17 years and one of its most difficult yet. With the opposition upping the ante in terms of media attacks and sabotage, 2.5 years of economic difficulties and since the passing of revolutionary leader Hugo Chavez, not to mention a recent right-wing victory in Argentina, the left and right around the world turned anxious eyes to Venezuela. Ultimately, the Bolivarian revolution (the “Perfect Alliance” of the governing PSUV and other supportive parties and organizations) lost at the polls with the opposition winning at least 99 seats, and 19 still to be decided. Eighty-seven is necessary for a simple majority. But what does this electoral loss mean, politically, and given the current context in Venezuela, what will the consequences of it be, going forward? 1) As usual, this year the disinformation by the opposition media has been intense. The opposition’s main campaigning was through local and international media and social media, with very little street campaigning. 2) Many of those who do generally vote for the opposition do so because they want to vote against the government (and everything demonic and evil the private media has made it represent, “Castro-communism,” where even droughts are the national government’s fault) or for ambiguous “change” after 16 years of Chavismo, without being particularly concerned or aware of what that change is. Many of these people are of course upper class people who resent the empowerment of the poor, but their ranks have been swollen by those frustrated by the last two years of serious difficulties. 3) Other key factors bringing people to the opposition include encouragement by the right-wing victory in Argentina, with a Trump like figure due to swear-in as president on Dec. 10, and younger generations in Venezuela who now don’t remember what it was like in Venezuela before Chavez was elected in 1998 (18-year-old voters would have been 3-years-old at the time). 4) But while the opposition has attracted some of the less politically aware social sectors to its anti-Chavismo discourse, the government has also lost some ground from conscientious and solid revolutionaries, partly due to its lack of a solid response to the “economic war.” Although it’s easier said than done to combat a rentier state, capitalist system, historical corruption, and opposition and big business economic sabotage, Maduro has only announced things like national commissions to deal with the situation. While people spend up to seven hours a week lining up for food, and while many of them understand that the government isn’t directly responsible for the situation, the lack of a serious response and significant measures hasn’t helped support for the government. 5) Further, while the government clearly sides with the poor, for multiple reasons including more right-wing attacks, it has becoming increasingly distanced from the organizing grassroots. “The government would have more of a sense of urgency (in solving problems) if it was closer to the people in the street,” Rachael Boothroyd Rojas, community activist and Venezuelanalysis journalist told teleSUR. That distance is relative to other times in the Bolivarian revolution, not to other governments around the world, who don’t come close. However, with the way the government communicates with the people, the way it gets information out and involves people in serious decision making—there has been a step back. This aspect of the Bolivarian revolution is perhaps the most important, so the significance of it and its impact on people shouldn’t be underestimated. The consequences are serious, but do not necessarily mark the end. Despite its financial resources and support from international powers and elites, the opposition has not been strategic or intelligent and won’t be strategic with this new power. Under Chavez and the revolution they lost privileges and a lot of their initial measures will be about getting revenge: probably things like kicking out the Cuban doctors, making fun of the poor classes that have lost, continuing to not collect garbage, and enjoying the praise from the international media. They won’t fix the economic problems, that’s not their aim, and after all, they (the business elites and wealthy people with access to dollars) benefit from the crazy exchange rates and huge profits gained from hoarding. Further, with this and the right-wing win in Argentina, the talk of the left loosing Latin America will strengthen, the media as usual broadcasting how they wish things were rather than any sort of complex analysis. Nevertheless, two such losses will no doubt cause some regional demotivation among progressives and have a significant impact on Latin American integration bodies. 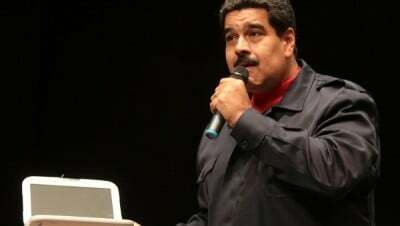 For PSUV politicians, there will hopefully be some reflection, and the government will now be in the difficult position of having to compromise with the opposition—with Maduro and his ministers still in power, but unable to allocate extra income (beyond the budget for 2016, passed on Dec. 1) or modify laws or approve bilateral and multilateral treaties. After the referendum loss in 2007, Chavez moderated his discourse and policies for a while, and Maduro may be forced to do so even more. It’s hard to know if in these circumstances Maduro will turn to the grassroots for more support, or will distrust them even more after loosing some of their support, and if he will see the outcome as a need for reflection, or purely the consequence of opposition sabotage. That the opposition has won its second out of 20 elections under Chavismo proves that all the U.S, European, opposition, and private media hype about how undemocratic Venezuela’s electoral system is false. Of course, their reaction will be to claim that it was their “international pressure” that kept things in check. Overall though, this loss, while it is a big step back for the progressive cause, it isn’t the end of the line. The global struggle for a world that puts people and planet first, for a democratically controlled economy and so on, is a long term one with many ups and downs, defeats and victories.